We here at The Snipe, aka Guttersnipe, were recently casting about for a new name. 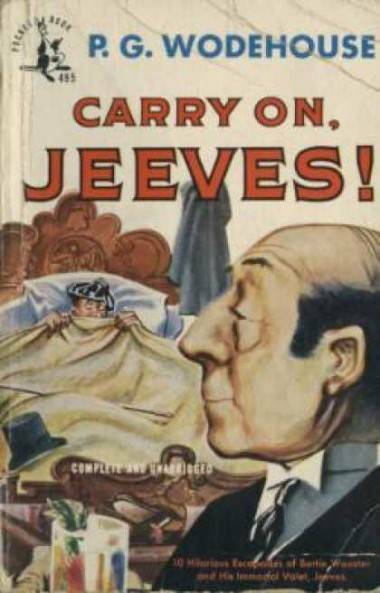 One idea we had was The Daily Bracer, which reminded us of something that Jeeves the Butler would serve Bertie Wooster in PG Wodehouse’s great comic Wooster/Jeeves novels and short stories. Anyway, we decided against it as a website name but that it was right for a daily feature. The question: What to put in it? We’re still trying to figure that out. In the meantime, here’s something we think is perfect for the inaugural Daily Bracer: a list of Wodehouse terms for, as he might put it, “lapping the stuff up by the bucket”. Thanks to Ian Michaud of The Wodehouse Society for contributing this list. It makes us want to get right wozzled. Gremlin Boogie, and The Cement Mixer. All sense of what was right. To save time Saturday night. This entry was posted in Daily Bracer and tagged Wodehouse. Bookmark the permalink.